Writing this book review and commenting on The Strategy of Victory by Thomas Fleming fills me with lots of mixed feelings, but it is sadness that predominates. This was Fleming’s last book, finished just months before he died back in July of 2017. The sadness is compounded because I had several occasions where Mr. Fleming and I corresponded over the past six or more years. He was gracious to have review copies of some of his later books sent to me. Even more so, he was always complimentary toward the reviews and articles where I referenced his books. My unfulfilled hope was to meet him. The Strategy of Victory is published by De Capo Press. As the subtitle states, this is the story of how General George Washington succeeded on the battlefield and won the American Revolution. George Washington’s battles have been a recurring topic in Mr. Fleming’s writings. There were almost always two different battles going. The clearly discernible enemy was the British army (whether that of British soldiers themselves or their Hessian mercenary counterparts). That enemy was powerful and laden with advantages in terms of numbers, supplies, and leadership. But the more subtle, devious, and dangerous enemy Washington faced was within the American patriot organization. Some members of the Continental Congress were also anxious to replace Washington. Victories on the battlefield would certainly have stopped the mouths of the critics, but such wins were few. Moreover, it is hard to win battles without an army. And it is hard to have an army without proper training. A strong current among the Patriots was the favoring of militia over trained troops. The militiamen truly put up some powerful fights, but they operated on short term enlistments causing Washington’s army to sometimes nearly vanish. From early on, part of the challenge was what Fleming calls Bunker Hillism. 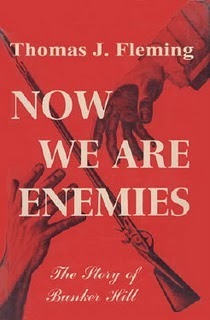 The battle of Bunker Hill (of which Fleming wrote his first book–Now We Are Enemies) was a victory or success story of sorts for the Continental Army. There at that battle, it was the tough defense that made spiked the butcher’s bill for the British. That convinced many on the Patriot side that fighting similar defensive battles could win the war. Washington disagreed. He recognized that he needed a trained army that could operate under discipline and function like their red-coated opponents on the field. With time and circumstances, he was able to build up at least some strong professional-level troops. The successes were generally small, but the troops proved their worth on many an occasion. As the war progressed, it was the commanders that Washington had mentored or recognized who succeeded along with him. Nathaniel Greene was the best example of a Washington-man who proved his battlefield savvy. Greene was one of the primary commanders in the southern campaigns that culminated at Yorktown. Washington now had a new set of enemy-friends in the French allies. Working with the French or just succeeding in getting help from the French was challenging. Once again, with patience (and sometimes the loss of it) and fortitude, Washington succeeded. The war was won, Mr. Fleming contends, due to Washington’s style of fighting, training, and maintaining the army. Early in his own writing career, he was not so convinced of that. After speaking at West Point, he had several military men there who credited Washington’s strategy as being the key to the American victory. His years of study and writing on the War for Independence confirmed what the West Pointers had told him. Thomas Fleming was a historian and an author. My preferred title for him is “story teller.” The successful historian, in many respects, is the person who takes the events and tells them in such a way as to spark love, interest, and even debate. Some historians are more precise or scholarly than Fleming, but few match him for conveying the drama and excitement of the events. He is gone now. The Strategy of Victory was his last labor of love in the field of historical writing. I did feel that some parts evidenced the rush to finish as time was closing in. Mr. Fleming barely touched on the battles of Trenton and Princeton. When he discussed the southern battles, he mentioned King’s Mountain only in passing. Maybe a younger Thomas Fleming would have been encouraged by his editor to expand the book another 50 to 100 pages. But that was not to be. We could all wish that we could write something even half this enjoyable and good if and when we get near the ninety year mark. I miss Thomas Fleming, along with many others I have lost in the past few years. But I treasure the books he wrote. His writing conveys the enthusiasm he had for history. You can even see the twinkle in his eyes, the grin, and the excitement of telling the story just by reading his words. Like Homer, like the great narrative historians through the years, Thomas Fleming knew how to tell a story. He left us a great inheritance. A recurring argument for a book is “the test of time.” There are exceptions to the rule, for some really good books vanish from sight and mind while other mediocre books continue to be read. In the field of academic studies, an abiding book is even more rare. Continued scholarship, new insights, the chipping away of older interpretations results in scholars being interested in the latest work from the presses. Certainly, there are problems with this approach, but it has its merits as well. Almost unimpeachable are the books considered as the fundamental classics in the western world. Many of us have now spent decades trying to erase the shame of having degrees and supposedly being educated without having to read the great minds from Homer to Augustine, from Aquinas to Dante, from Luther to Kuyper. But along with the great books and world-changing authors are the books that are built upon, that comment and expound, that interpret and apply the great books. As a matter of practice, it is better to–especially when playing a decades overdue catch-up–to try to hit the actual sources. Besides, many of the books about Plato and Aristotle are harder to read than Plato and Aristotle. Many classic works are really short (excepting Herodotus’ Histories, Aquinas’ Summa, or the Leatherstocking Tales of Cooper). 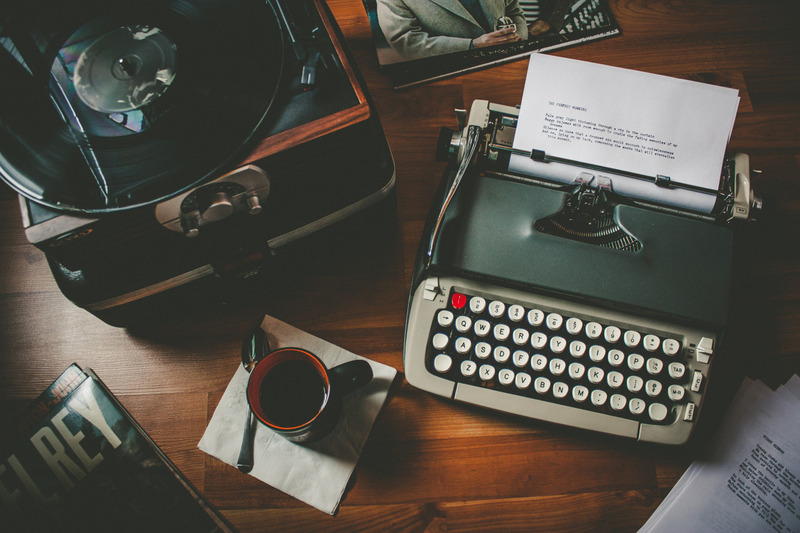 Many classic authors wrote some selections that are short and readable. One who cannot wade through Calvin’s Institutes can manage the excerpt from it titled The Golden Book of the Christian Life. For every classical epic, there are plenty of sonnets. One indisputable giant in Western Civilization is Augustine of Hippo. (Of course, he is disputed, all the way down to how to pronounce his name.) The corpus of his works are daunting to tackle. The City of God itself is a massive and weighty read, but he can be approached through Confessions and through On Christian Doctrine as well as sermons and shorter selections. Still there is a need for some, many in fact, to attempt to have a working understanding of The City of God. I know the challenge, for I have read it a couple of times and have taught large portions of it in a high school class. While it may not have remained on the best seller lists or on the most popular surveys for 1500 years, it has impacted our civilization and has yet to be a spent force. City of God is relevant to today and is more relevant than many of the current and trending topics and issues. Yet the man of one book remained a key force for studies related to Roman history, Christianity, the transition to the Middle Ages, philosophy, and theology for decades to come. Christianity and Classical Culture remains in print to this day having been reprinted by the Liberty Fund. Now, over seventy years since Cochrane’s book first appeared, we have the sequel. Cochrane gave a series of four lectures at Yale on “Augustine and the Problem of Power.” These lectures can be seen as a distillation or summary of his larger work. He had also written and spoken on other topics related to Roman culture, Machievelli, and Edward Gibbon. Long lost to the academic and book world, these papers were discovered by his granddaughter. As the scattered writings began to be read and thought about, a decision was made to publish them in book form. From that unexpected series of events, we now have the book Augustine and the Problem of Power: The Essays and Lectures of Charles Norris Cochrane. This work is edited by Professor David Beer, who also wrote a lengthy introduction to the collection. It was published this past year by Wipf and Stock. I readily, but cautiously, recommend this book. Readily because of the reputation of the author and the blessing of having a further work by him. Cautiously because this is not a “Augustine for Dummies” work. This book is a slow read. The title of the book is also the title of the four lectures which make up over a third of the book. The lectures delve into the Greek and Roman views of society and politics that Augustine was answering and refuting. Quite simply, the Greeks (and the Romans who followed) believed that a perfect or model or ideal society could be fashioned by the right political order, the right political philosophy, the right legislation. Man and society were, at least to a large degree, perfectable with the correct philosophical and governmental actions. In short order and directly, Cochrane labels the Greek and Roman political worldview as idolatry. The antidote to the idols of that age or this one is the Christian faith. Cochrane says, “Christian faith rests upon the unshakable conviction that, not withstanding the efforts of secularism to rationalize and justify its pretensions, the order of nature revealed by Christ and the Scripture is, the true order; to acknowledge which must therefore be the starting-point for all genuinely fruitful investigation into the problem of perfection” (pager 78). The statement above is not easy to swallow without some serious chewing. It is not bumper-sticker or sound-bite Christian answers to current questions. It takes unpacking and thinking. 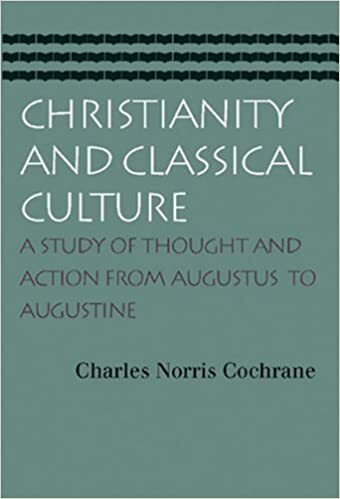 And that is why this book–Augustine and the Problem of Power–and Cochrane’s previous work–Christianity and Classical Culture–and Augustine’s City of God–are so important today. I received a review copy of Cochrane’s book and am not obligated to sing its praises, but will do so anyway. As expected, 2017 resulted in lots of new books and studies related to Martin Luther, his fellow Reformers, and the Protestant Reformation. It was the 500th anniversary of that turning point in history, in case you missed it. The story, always a good one, was told over and over again of how Luther discovered God’s grace, how he labored to put the Bible into the hands of common Christian folk, and how he railed against abuses and scandals within the established religious structure of late Medieval Christendom. We sang “A Mighty Fortress Is Our God” and marveled at the speech ending with “Hier stehe Ich, Ich kann nicht anders” (“Here I stand, I can do no other.”). As the year came to an end, we were able to once again credit Luther with the practice of having lighted Christmas trees. Of course, every historical event is more complicated than the fun telling of the story. Good guys are rarely purely good guys. Easy victories were never easy. Rousing speeches did not always rouse. The differences between winning causes and losing causes in history is often a matter of perspective and interpretation. Luther had faults, which is kind of like saying Switzerland has mountains. Whether it was inconsistencies, outright acts of wickedness, stubbornness, or German-ness, Luther was a man of his times and a sinner in need of grace. While we Protestants celebrated, we knew that there were large swaths of people who profess to be Christians who were not and would not join in. Place them where you will, they include a large number of different views and experiences. In most cases, I would simply say, “You are missing a great party.” But there is the occasion for asking ourselves why they didn’t join in. 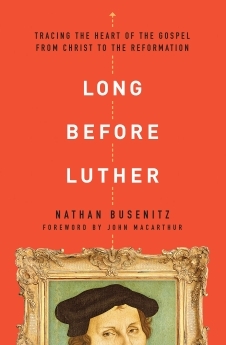 In the wave of new books related to the Reformation that came out in 2017, one short and less impressive fellow is a work titled Long Before Luther by Nathan Busenitz. Let me explain the phrase “short and less impressive” first. There are some new and weighty biographies of Luther that I have stacked on my desk in front of me. These include popular author Eric Metaxas’ work on Luther, another book titled Brand Luther by Andrew Pettegree, one called Martin Luther: Renegade and Profit by Linda Roper, a collection of essays on Luther called The Legacy of Luther whose contributors include the recently deceased R. C. Sproul, and I don’t have all the new Luther books. Add to that some hefty books such as Carlos Eire’s Reformations and the deeply theological study called Reformation Theology: A Systematic Summary, edited by Matthew Barrett and yet another book with a similar title called Reformation Theology: A Reader with Primary Sources and Introductions, edited by Bradford Littlejohn and Jonathan Roberts. Shorter and more scholarly, academic, and narrowly focused books have also been showing during the past year dealing with Luther and the Reformation. Shyly stacked among all these books is Long Before Luther, a paperback published by Moody Publishers, with the list price a mere $13.99. Yet in many ways, this quiet little collection of quotes and explanations that go for 190 pages (with another 50 pages of notes) is the key to this whole issue of the Protestant Reformation. Simply put, did Luther (or Calvin, Bucer, Bullinger, Knox, Zwingli or Cranmer or any one else) come up with something new? If Luther “invented” a religion, he still gets in the history books and can take his place alongside of Mohammed, Joseph Smith, or anyone else who had some series of experiences and ideas that attracted follower. “But Luther’s views sprang from the Bible!” you might say in response. Certainly, yes and amen, and that is why we cry “Sola Scriptura.” But we all know people who huddle up with their Bibles, maybe eschew all churches, despise creeds and confessions, and come up with original stuff from the Bible that just ain’t so. Suppose I were to stand up to preach in a church and began with these words, “I am going to share something from the Bible that is brand new. No one has ever discovered this before.” I would hope that the elders would be moving in position quickly to take me out of there, kicking and screaming, if necessary. Over 2000 years into Christian life, doctrine, and practice, neither you nor I are going to discover something brand new. We may have some useful, innovative, creative explanations or applications. We may be able to benefit from theological, archeological, or linguistic discoveries of recent decades (see Michael Heiser’s The Unseen Realm). We might conclude that key leaders in church history, be they Reformers or Puritans or Westminster men, were in error on a point. But to imagine that we can be original discoverers is quite scary. Luther was an Augustinian. He, in time, left the Roman Catholic Church, but he never left Augustinianism. He was taught and grounded in the Church Fathers. Therein lies the importance of this book. Being saved by grace and begin justified by faith are ways that salvation is described after Luther and on into our time. But that way of seeing, understanding, exegeting the Bible were not inventions or constructions of the 16th century. With 25 pages devoted at the end to just quoting the sources, this book anchors Luther in the tradition of the Faith Once Delivered to the Saints. It should be no surprise that Augustine is the key background figure in this work. Marco Barone’s book Luther’s Augustinian Theology of the Cross is an in-depth study of the Luther-Augustine connection, but Busenitz’s book is a good overview of Luther’s debt to Augustine. This is the kind of history that encourages. God gave us His Word. The early Church Fathers, fallible though they were, upheld the Word. At various times in history, key doctrines have been warped, obscured, and denied. But the Word pops back up, new, powerful, alive. The crowd of witnesses from the long halls of church history are all there rejoicing that what they knew, we know, and what we know, others will know. Dogs are a hindrance to reading. Therefore, it is often useful to have a dog close by when reading just to test your own commitment and fortitude. And it keeps you from reading too long without a break. 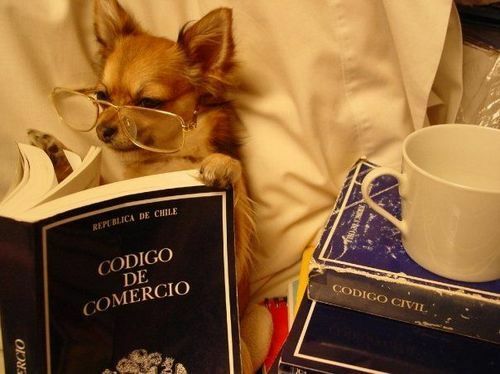 In contrast to dogs, coffee–especially in the morning–was invented to supplement reading. Coffee warms and awakens the various parts of us that are not connecting to ink symbols on a page of processed wood. 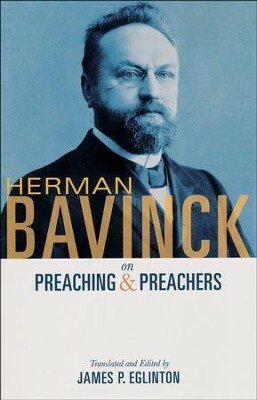 Herman Bavinck on Preaching and Preachers, translated and edited by James P. Eglington, is published by Hendrikson Publishers. Bavinck is often associated with heavy–in terms of size and content–theological works. He is best loved for his four volume Reformed Dogmatics, which also has been put in a more accessible one volume book. He is one of the heavy weights in the Reformed tradition. What a delight then, it is to have this short and very readable work that is focused on a much overlooked part of Bavinck’s life–preaching. He was not a theologian for theology’s sake, but a theologian who was concerned for the Word of God being communicated to God’s people. This work is moving, instructive, and even witty. Bavinck quotes often from the Dutch Christian poet Bilderdijk as well as from other sources. His aim is to help aspiring preachers attain a true eloquence. That is, he wanted them to have–both in personal manner and theological presentation–a winsomeness to the truths they were preaching. I have focused on several deals related to the study of Christology in recent months. Before and during Advent and then Christmas, it seemed as though reading about Jesus Christ was most appropriate. The Case for Jesus: The Biblical and Historical Evidence for Christ, written by Brant Pitre and published by Penguin Random House, was sent to me as a review book–by my request. I would generally classify the book as a work of apologetics, for it aptly defends the Gospels themselves and the claims of the inspired writers and of Jesus Himself concerning His person and work. But the book has done much more than answering the claims of critics (Bart Erhman, being the chief one). This book is a solid Bible study, rich in content and exegetical insights. I don’t tend to be skeptical concerning the authenticity of the Bible. Nor am I worried about whether the “lost gospels” are revealing the real story. Nor do I even question whether Jesus said the words that so often appear in red print in some Bibles. This book is a two-by-four in the face of those who raise such issues. But my point is that this book has helped me. We preach to the choir because the choir needs preaching to. If I were to write in the margins, I would been writing “Wow!” quite a few times. Oh Death, Where is Thy Sting? Collected Sermons by John Murray was published by Westminster Seminary Press and is available from Westminster Seminary Bookstore. Many years ago, I worked my way through several books by the renowned Scotsman and theologian John Murray. Redemption Accomplished and Applied is his best known book, and I found it challenging, but rich. I also found Principles of Conduct to be a great study of the law of God. The four volume Collected Works, published by Banner of Truth, is a treasure chest of shorter writings. Murray’s commentary on Romans has been consulted on various occasions. But all that was years ago. Then Westminster Seminary, where Murray taught, published a collection of sermons, many of which appear in book form for the first time. On the one hand, this book–as cloth, board, paper, and ink–is a fine addition to the library. Top rate binding and appearance add to its worth (and likely raise the cost). The sermons, several of which are preceded by lengthy prayers, are theological treatises. How did this man preach like this? How did the congregations he was visiting with hear and absorb this? Murray did not or use Spurgeon’s colorful and anecdote driven style. He was careful, precise, orderly, and theological driven to unfold the text. This book simply cannot be read just once. At the same time, one can almost open it at random, read a page or two, and feel deeply instructed and moved by the Word of God preached. At $22.50 (half price) this book must find its way to your shelf. No, put it on your reading stand. ONLY THREE BOOKS HIGHLIGHTED IN THIS BLOG POST! There are more, many more. But time spent blogging and reading blogs is time away from the book stacks. Be patient, gentle reader. Share your thoughts and suggestions. Share this post. Help me get a thousand viewings for the month. I never quite feel honest when people ask me what kind of work I do. My career has mostly consisted of avoiding all things I consider as work and pursuing the things that I think are fun. To satisfy the questioner, I say, “I am a teacher.” That grand title covers the fact that given enough wealth and time, I would spend all my time reading and talking about things I like to read and talk about. First on any list of interests is history. 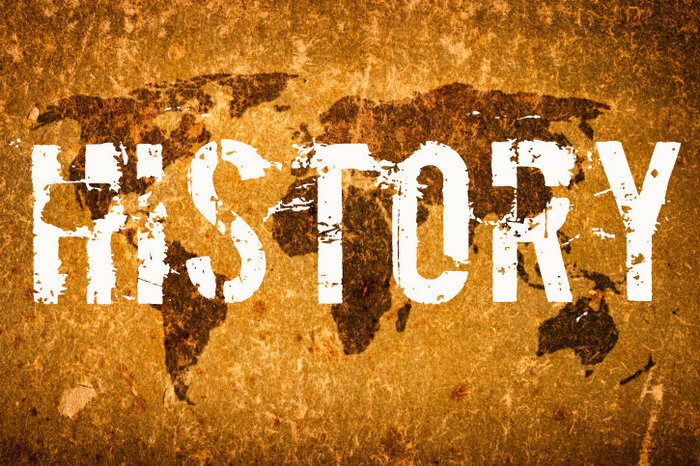 “What can you do with a history degree other than teach history?” Any and all history department chairmen can tell you all kinds of ways that your history degree will open doors. For me, personally, I never seriously considered doing anything with my history degree other than teaching history. All of this discussion is leading up to this posting of some worthwhile books on and related to history that I have read this year. 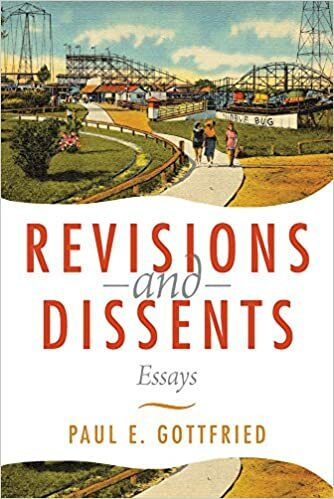 Revisions and Dissents: Essays by Paul E. Gottfried is published by Northern Illinois University Press. Dr. Gottfried has authored a dozen or more books, many of which are on topics such as Marxism, Fascism, and political ideology. He was a history professor at Elizabethtown College, and he still writes on historical topics. A friend, John Pendergraft, newspaperman after the order of Douglas Southall Freeman, called my attention to the book last spring. I felt duty bound to acquire a copy and see what it is like. This book took two tries to get into. The reason is that the book consists of fourteen essays that are ten to fifteen pages long and are serious, in depth, and challenging. Add to that–really good. Gottfried is, I think I can safely say, a conservative historical thinker. But if you think that conservatism consists of what you hear on “conservative talk radio” or Fox News (which I like), then you are in for a culture and brain shock. 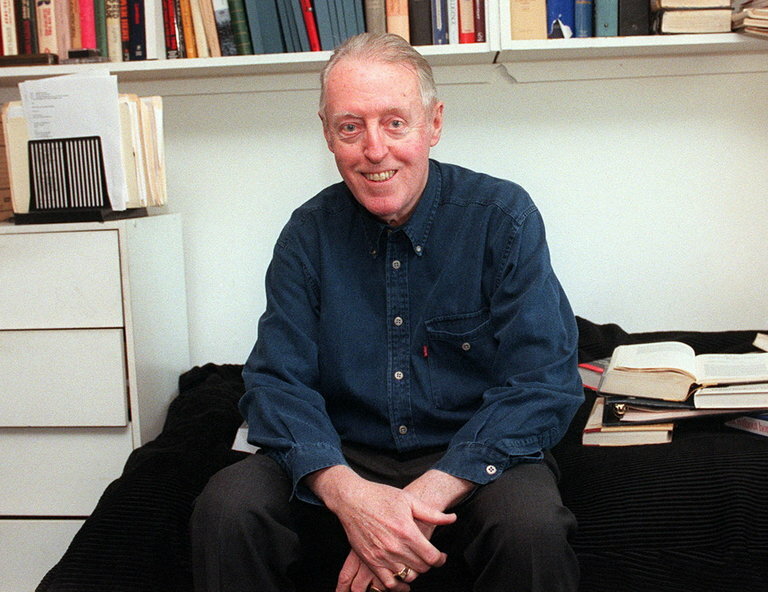 First up on the dock–actually, the second essay–is titled “Robert Nisbet–Conservative Sociologist.” This essay was explanatory of Nisbet’s thought and writings. I have long owned several books by him. 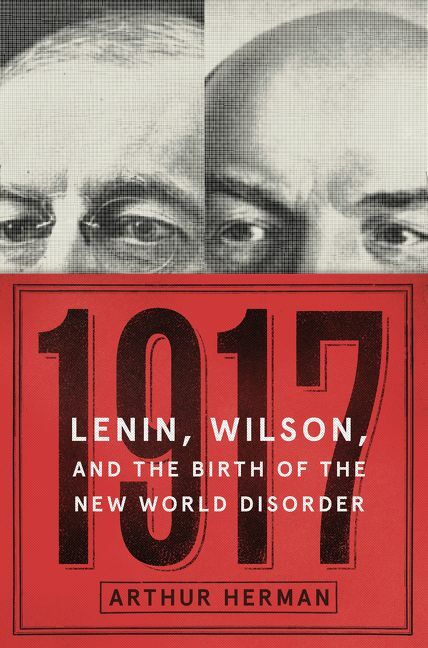 P. Andrew Sandlin of the Center for Cultural Leadership has spoken of and recommended Nisbet’s books frequently. This essay is a good preparation for reading a man who was a key conservative thinker in the twentieth century. When I do my duty and read Nisbet himself, I believe this essay will be worth reading again. Gottfried also devotes a chapter to the classic work The Whig Interpretation of History by Herbert Butterfield. Since I read Butterfield’s book this past year, I found the discussion of it worthwhile. The essays cover other aspects of intellectual and political history, such as the English constitution, Fascism, Heidegger, Strauss, liberal democracy, and the origins of the state. This is not bedside reading, but the essays are well worth the effort. Past and Present: The Challenges of Modernity, from the Pre-Victorians to the Postmodernists by Gertrude Himmelfarb, published by Encounter Classics. After I read The Roads to Modernity: The British, French, and American Enlightenments by Dr. Himmelfarb several years ago, I became a diehard fan of her work. I have a half dozen or more of her books and am in quest of every single one. She is to the field of history what Dr. Louise Cowan was to literature. By that, I mean that she is brilliant and continues to produce good stuff as the years go by. Her husband was author and political thinker Irving Kristol, and William Kristol, editor of The Weekly Standard, is her son. The essays in this book range from ones written decades ago to some that are recent. Historical figures who are discussed in this book include Leo Strauss, William James, Edmund Burke, Matthew Arnold, Winston Churchill, Thomas Carlyle, Benjamin Disraeli, Albert Einstein, and others. This book is on my “to read” stack, so I cannot comment further on these essays. But again, if Dr. Himmelfarb wrote it, I want to read it. 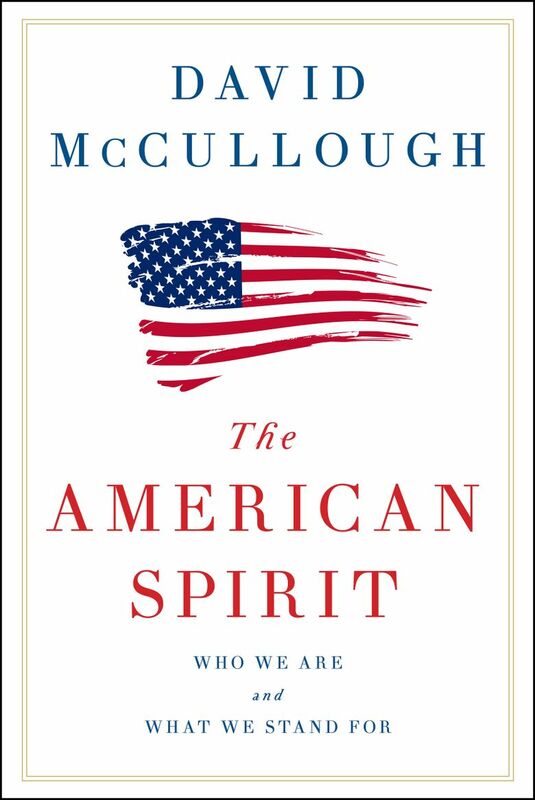 If anyone would rather just sit back and relax and enjoy the pure joys of history, try The American Spirit: Who We Are and What We Stand For by David McCullough. All of McCullough’s books are delightful reading. Only David McCullough could persuade me to tackle some 500 pages on American artists, scientists, and authors who trekked their way to Paris to study. That story was found in his book The Greater Journey: Americans in Paris. I can easily recommend his books on John Adams, his account of the year 1776, or his books on Theodore Roosevelt, the Panama Canal, or the Wright Brothers. The American Spirit consists of talks that he gave as graduation speeches or before Congress or on other occasions. McCullough is the master of the uplifting story or forgotten figure whose role in history is largely unknown, but inspiring. Anyone who could read this book and not enjoy it is a real…fuddy duddy…to use some rather harsh language. What is Classical Liberal History?, edited by Michael J. Douma and Phillip M. Magness, sounds like both a challenge and a delight. It is on the waiting list right now. 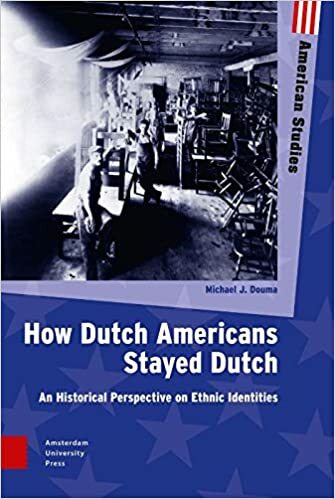 And speaking of Michael J. Douma, I will soon be turning the big guns on his book How Dutch Americans Stayed Dutch. Yep, all this sure beats working for a living.